In a recent post, Andrew Davies explained how the government ignored Defence’s advice and chose the MRH90 over the Black Hawk helicopter—presumably because the former offered more for local industry. The acquisition of F-35 aircraft will bring significant economic benefits to Australia, including in regional areas and for the local defence industry with more jobs and production for many locally-based skilled and technical manufacturers. The message is clear; the more work that’s done in Australia the better. In the case of the F-35, it’s likely true. Rather than rely on offsets, Australian firms compete with foreign manufacturers to supply the global F-35 program so that only internationally competitive firms thrive. 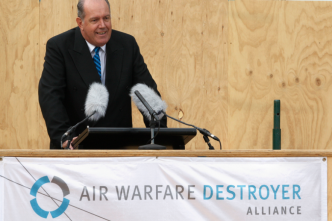 In other instances, local sourcing occurs absent foreign competition and at a sizable cost premium, such as the troubled Air Warfare Destroyer Project where we are getting three vessels for the price of four. What’s the lure of having work done locally? Apart from expectations of achieving greater self-reliance and more cost-effective through-life support (each a canard for another post), decision-makers probably believe that there’s a net economic benefit from having work done in Australia even at a premium. The notion that local production delivers an economic benefit has been cultivated by those eager to avoid foreign competition. 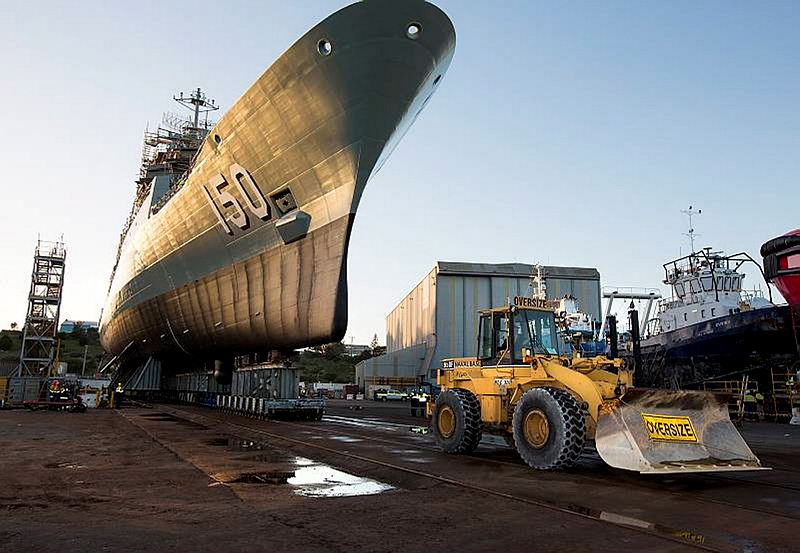 DefenceSA, the South Australia Government’s defence lobbying arm, has produced two glossy publications (here and here) that extol the economic and industry benefits of local shipbuilding. 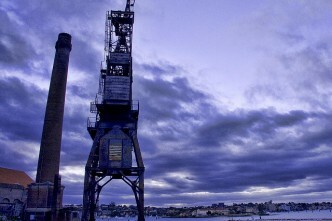 The DefenceSA reports quote an economic analysis of the Anzac Ship project commissioned by the Australian Industry Group in 2000. The scanned copy of report can be found here (PDF) and its companion report on the Huon minehunter project is here (PDF). The reports employ two methodologies to estimate the economic impact of projects: input-output multiplier analysis and general equilibrium modeling. Impressive numbers indeed! If only the world was so simple; multiplier analysis overestimates economic impacts by ignoring (along with much else) constraints on, and alternative uses of, inputs to production. For example, multiplier analysis assumes that each and every person employed by the project would be unemployed had the project not occurred. The Productivity Commission released a paper on the uses and missuses of multiplier analysis in 2013. Mindful of the limitations of multiplier analysis, the Anzac and Huon reports also used general equilibrium modeling to estimate the economic impact taking account of input constraints on the Australian economy as a whole. Unlike the input-output analysis, the estimated boosts to GDP and employment in the table above are net increases across the entire economy. How much confidence can we have in those estimates? Comparison with analogous estimates in a 1994 Industry Commission report are informative. Depending on the assumptions made—none of which were unreasonable—an increase in local defence sourcing could result in either an increase or decrease in GDP and employment. Confused yet? As best I can tell (not being an economist) two assumptions drive the results. First, the extent to which employment is held as a fixed constraint in the model. 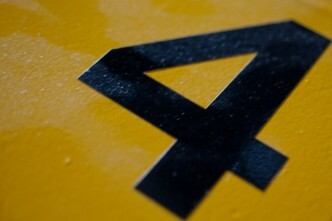 Second, the assumed productivity enhancement arising in firms engaged in the project. Weak employment constraints and higher productivity yield greater benefits, and vice-versa. 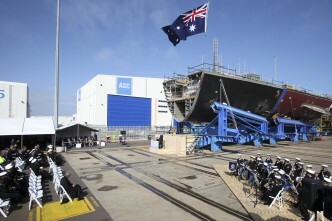 Given ongoing strong competition for skilled labour and the low productivity of (at least) the naval shipbuilding sector, recent local purchases such as the AWD have probably not had anything like the bountiful impact claimed by the Anzac and Huon analyses—certainly nothing like what would be needed to cover the substantial premium being paid. Nonetheless, we should be wary of definitive claims either way about the economic impact of buying defence equipment locally. 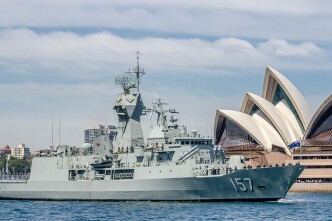 But with $78 million already committed to progress a local build of frigates to replace the Anzacs (wastefully early), the government needs to get some evidence-based advice on the economic costs and benefits of local construction sooner rather than later. As I’ve suggested in the past, the Productivity Commission would be a good place to start. Mark Thomson is senior analyst for defence economics at ASPI. Image courtesy of Department of Defence.